THE number of new apartments sold in Brisbane in the past quarter was the strongest in two years, signalling the worst is over for the city’s unit market. 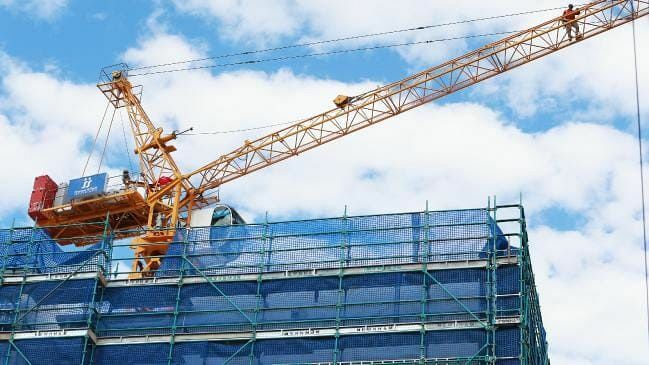 In the three months to October, 420 new apartments were sold — the highest number since December 2016, according to a new report by independent consultancy, Urbis. Interstate investors drove the recovery, making up 54 per cent of the sales, while owner occupier purchases dropped to 15 per cent. “The increasing number and proportion of investor purchasers across a variety of projects is an indication that longer-term confidence still exists for the inner Brisbane apartment market,” Mr Riga said. More than 80 per cent of those apartment sales were in Brisbane’s inner south, on the back of two major project launches — ‘The Standard’ by Aria in South Brisbane and ‘Silk One’ in Woolloongabba. Both projects had highest number of apartment sales during the quarter. Mr Riga said that while the pick-up in sales was welcomed, it had not been easy for developers to attract buyers. “Despite the higher transactions in this quarter, sales are certainly not easy, and for all developments recording strong results in this quarter, it has been on the back of extremely hard work, and for some developers, many years of building trust with buyers,” Mr Riga said. The average sale price recorded for the September quarter was $733,000, with three quarters of sales made in projects aimed at the middle to high end of the market. New apartments in Brisbane’s inner east were the most affordable, with an average sale price of $519,000, while Brisbane CBD was the most expensive at $1.1 million. And while sales are growing, supply is easing, with only 403 apartments approved across inner Brisbane during the September quarter — down from 1,674 the previous quarter. Only four projects expected to launch in the next six months, bringing around 950 new apartments to market. “We are not expecting continued quarters of sales at this level due to limited levels of new supply, however overall this quarter has highlighted that there is still demand in the inner Brisbane apartment market and the right drivers are present,” Mr Riga said. He said the Brisbane unit market had been “resilient” in the face of oversupply fears. “We were penned to see … higher vacancies, empty apartments and price falls,” he said. “We haven’t completely been remiss of that; we have seen, in some precincts and some developments, higher than normal vacancies and, in some developments, hits to the price points, but I think if you look at the market from a macro perspective, it’s actually performed quite well. “The amount of supply we’ll see built and completed will continue tapering off until 2020.